In Maasai communities in northern Tanzania, small ruminants (sheep and goats) represent a primary source of food and income. Imagine, then, the impact of a disease that can, over the course of a year, cause as many as a quarter of the animals in a flock to lose control of their movements and eventually die! Over the past few years – in association with various ongoing animal health projects in Tanzania – researchers from the Institute of Biodiversity, Animal Health and Comparative Medicine (IBAHCM) at the University of Glasgow (UofG), and the Nelson Mandela African Institution of Science and Technology (NM-AIST) kept hearing increasing concerns from livestock keepers about this neurological syndrome that is referred to locally as ‘ormilo’. As is common in rural communities with limited capacity for monitoring diseases, there is no baseline data available on the historic occurrence of this syndrome. However, pastoralist livestock keepers are convinced that the number of affected animals has increased considerably in the last five to ten years. The neurological signs in affected animals can be quite dramatic, ranging from changes in their level of awareness, to walking in circles, to unsteadiness and collapse. Despite attempts made to treat affected animals, the condition appears to ultimately end in the death of the animal, either as a direct result of the disease or through predation when affected animals become separated from the flock while grazing. Livestock keepers in the area also report that they often send affected animals to slaughter as soon as possible to recoup some of the price of the animal, which would be lost if it died due to the disease. When researchers began to enquire, it emerged that at some abattoirs, the numbers of sheep and goats being presented with ormilo had reached such a high level that daily quotas have been imposed to prevent the system becoming flooded with sick animals, which usually command a lower price. Anecdotal reports of communities’ concerns about this mysterious syndrome were confirmed in 2016 by research carried out by social scientists and disease researchers from IBAHCM as part of a larger project investigating the social, economic and environmental drivers of zoonotic disease in Tanzania (SEEDZ). Focus group discussions undertaken in pastoralist communities revealed that ormilo consistently emerged as one of the leading animal disease concerns. However, despite the growing worries around ormilo, very little was known about what caused it or how it might be controlled. The clinical signs, along with reports from local abattoirs, suggested that the animals could be suffering from a condition known in the UK as ‘Gid’, or cerebral coenurosis, caused by the larval stages of the dog tapeworm Taenia multiceps. However, without further investigation it was impossible to know whether this was the cause, or indeed whether several different causes were leading to similar signs. Moreover, the extent of the problem needed to be quantified: how many animals were actually affected? To begin to answer these questions, in January 2018 I left a cold and snowy Glasgow to travel to Arusha, Tanzania to join a team led by Dr Tito Kibona of NM-AIST. Together with support and guidance from IBAHCM researchers Prof Sarah Cleaveland and Dr Kath Allan, we set up a pilot study to investigate the extent and causes of this important disease issue. Dr Kibona is an experienced field vet and researcher who has a particular interest in ormilo and its causes, having been frequently confronted by the problem during his field research for Supporting Evidence Based Interventions in Tanzania (SEBI-TZ), an ongoing research project investigating causes of abortion and other production diseases in Tanzanian livestock. Together, we designed a study to investigate both the numbers of animals reported to be suffering from ormilo, and role that cerebral coenurosis had in causing the syndrome. Our study was carried out in four villages in Arusha region of northern Tanzania and consisted of two parts. Firstly, we conducted questionnaires at all households in the four study villages to determine the reported number of ormilo cases, both at the time of the questionnaire and over the past 12 months. Secondly, at a randomly selected sub-set of households, we performed detailed neurological examinations on all affected small ruminants before carrying out post mortem examinations on a sub-set of these animals to attempt to identify the possible causes of the clinical signs. In order to conduct questionnaires at all households, we were lucky to be able to enlist the help of local Livestock Field Officers and village leaders, whose detailed knowledge of their communities was invaluable for reaching all households quickly. The data gathered from the questionnaire survey confirmed the extent of the problem. More than 90% of households had seen one or more cases of ormilo in the last year and around 50% of households reported having a case in at least one of their animals on the day of the questionnaire. When asked about the numbers of individual animals affected, these household figures translated to more than 10,000 animals reported to have been affected by ormilo in the last 12 months, accounting for around a quarter of all the sheep and goats kept in the four villages. We were taken aback by the scale of the problem, with these numbers highlighting the huge burden this condition may be placing on pastoralist livestock keepers. Although we were not able to capture data on what subsequently happened to the animals, the typically fatal nature of ormilo suggests than most of these cases would have resulted in losses to the household. The next part of our study focussed on the clinical signs associated with the syndrome. The most common signs we saw were unsteadiness and a tendency for affected animals to lose balance when walking or running, but we also observed animals in the later stages of the disease who were unable to stand and had severe changes to their level of mental awareness. Livestock keepers reported circling as a commonly seen sign, and frequently described affected animals falling behind the rest of the flock, sometimes resulting in them being lost in the bush or falling prey to hyenas and other predators. All the clinical signs we observed were consistent with those typically seen in cases of cerebral coenurosis, and prior to post mortem confirmation, made us highly suspicious that this was the cause of what was locally being called ormilo. To confirm how many of these cases were truly cerebral coenurosis, the final part of our study focussed on in-depth investigation of a small number of animals showing clinical signs. Farmers identified affected animals that they planned to send to slaughter, and a subset of these were randomly chosen for post mortem examination. The appearance of a brain infected with the larval stages of Taenia multiceps – the tapeworm causing cerebral coenurosis – is easily recognisable and unique for the disease. On examination of the brain and spinal cord of 39 animals, we found that 82% of them had one or more cysts consistent with this diagnosis, and these were later confirmed as Teania multiceps by additional tests. Although this was a small sample, the high proportion strongly suggests that Taenia multiceps cerebral coenurosis is a major cause of the neurological problems affecting sheep and goats in the region. Taenia multiceps is a canine tapeworm, with the adult parasite inhabiting the intestines of the domestic dog. Sheep and goats become infected after consuming food or water that is contaminated with tapeworm eggs, which then burrow through the intestinal wall and migrate to the brain or spinal cord, or occasionally to tissues elsewhere in the body. Following migration, the tapeworm larvae slowly develop into cysts which gradually compress surrounding brain tissue, leading to loss of brain function. The course of the disease often occurs in two stages with a rapid onset of clinical signs due to inflammation caused by the initial larval migration, which then improves, but is later followed by a recurrence of clinical signs once the cysts become large enough to permanently damage surrounding brain tissue. The findings of our study confirmed that ormilo, which appears to be largely caused by cerebral coenurosis, is a substantial problem in pastoral villages in Arusha region. The sheer scale of the problem raises pressing concerns about the sustainability of small ruminant production in the face of such a disease burden. This is of particular concern in the context of a trend in pastoralist communities towards increasing sheep and goat production in favour of more traditional cattle. Small ruminants are typically easier to buy and sell to free up cash for expenses such as hospital or school fees, making them an attractive option when cash flow is required. In addition, small ruminants have proven more resilient in the face of increasingly frequent droughts and pasture shortages affecting the East African region. Although our study focussed on a small number of villages, reports from farmers and animal health workers across Tanzania and Kenya suggest that ormilo – and by extension cerebral coenurosis – may be widespread in the region. Understanding the cause of ormilo was therefore a vital first step in order to develop control strategies to protect pastoral livelihoods and ensure food security for vulnerable communities in Tanzania and beyond. Various possible interventions have proved successful at reducing the burden of cerebral coenurosis in other areas of the world, including the UK, and the next steps for the team in Tanzania will be to explore these options. Analysis of our results showed that dog ownership, as well as the practice of feeding small ruminant brains to dogs, were common in the villages we surveyed, and that both were associated with an increased risk of having cases of ormilo. Interestingly, around 60% of households that did not own dogs themselves still reported feeding small ruminant brains to dogs – presumably while feeding neighbouring dogs or dogs belonging to visitors. Feeding brains to dogs more than doubled the risk of having ormilo cases, even in households that did not own dogs. These analyses suggest that interventions focussed around preventing dogs having access to brains of sheep and goats after slaughter could be effective at reducing the disease burden, but other control measures also need to be considered, such as deworming dogs and reducing pasture contamination. Sadly for me, my journey with ormilo has now ended as my research is taking me in new directions (although still focussed in this beautiful area of the word!). However, in Tanzania and in Glasgow, the work on ormilo and Taenia multiceps is continuing, with further work to answer some of the questions raised by our initial study. The team, led by Dr Tito Kibona, Prof Sarah Cleaveland, Dr Alicia Davis and Dr Kath Allan, is now working in close partnership with local communities to develop effective control strategies to prevent infection in sheep and goats and reduce the impact of this important and devastating disease. 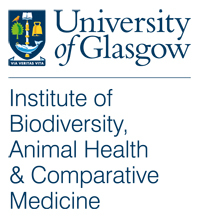 The research, led by Prof Sarah Cleaveland at the UofG, was supported by the Supporting Evidence Based Interventions project, University of Edinburgh (grant number R83537). Additional funding was also provided through the Zoonoses and Emerging Livestock Systems program which was jointly funded by the Department for International Development (DfID) and several UK research councils (BBSRC, ESRC, MRC, NERC and DSTL) (grant numbers: BB/L018926/1 & BB/R020027/1). The full manuscript describing this work is: E. Hughes, T. Kabona, et al. Taenia multiceps coenurosis in Tanzania: a major and under-recognised livestock disease problem in pastoral communities. Vet Record, 2019.